Orthorexia Symptoms: Are You Obessed With Healthy Eating? Home » General Health » Orthorexia Symptoms: Are You Obsessed With Healthy Eating? Orthorexia Symptoms: Are You Obsessed With Healthy Eating? Many people today are concerned with their health, what they eat, and how effectively they are exercising, but they might never think that their rigid behavior could point to orthorexia symptoms. Orthorexia is a condition in which someone has an obsession with healthy eating; they are fixated on creating and maintaining what they believe to be the perfect diet. Food for orthorexics is restricted to a certain handful of options, all of which have no added color, preservatives, flavoring, are not genetically modified, and have no fat or other items the orthorexic believes to be impure. At a glance, it looks like a way to eat and maintain a healthy diet, but the difference lies with how intense this behavior becomes and if it starts to interfere with daily life and relationships. It’s one thing to watch what you eat and be mindful of what goes into your body, but it’s another to make food choices that become excessively restrictive. Dr. Steven Bratman coined the term orthorexia in 1996, using it to describe patients who were overly health-obsessed. It was not intended as a diagnosis, but as he treated more people with similar behaviors and attitudes he realized that the term identified a real eating disorder; in fact, orthorexia could be considered a precursor to anorexia nervosa and bulimia. Though not an officially recognized disorder in the Diagnostic and Statistical Manual of Mental Disorders, orthorexia is acknowledged as sharing similarities with other eating disorders where obsessing over calories and weight is standard; however, orthorexics obsess about healthy eating and are not concerned about getting down to a certain weight. Do you wish you could sometimes eat and not worry about food quality? Do you wish you could spend less time worrying about food and more time living and being with loved ones? Is it hard for you to eat a meal prepared by someone else? Do you try to find ways in which foods are unhealthy for you? Do other things in your life take a back seat to adhering to what you believe to be is the perfect diet? When you stray from your diet do you feel guilty and scold yourself? Does following the “right” diet as you see it make you feel in control? Orthorexia nervosa symptoms include the following, but the key one to note is whether the obsession with food begins to take priority over daily life and loving relationships, i.e., when it preoccupies the sufferer’s thoughts without ceasing; they start to identify it with who they are. Food preparation techniques, food handling, and the washing or sterilization of cookware or utensils become a cause for concern. The key effects of orthorexia are twofold. First of all, it can lead the orthorexic to losing a lot of weight because the caloric intake has been drastically reduced. This can potentially be unhealthy, especially if the orthorexic is not consuming the right foods for proper nourishment. 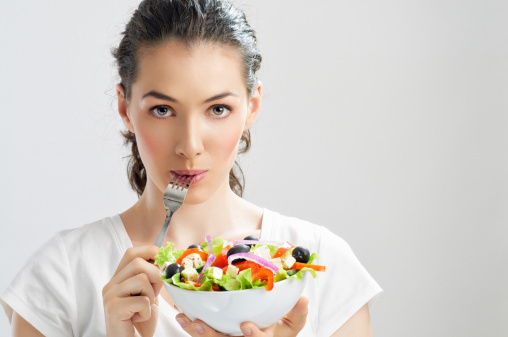 Secondly, orthorexia can lead to properly recognized eating disorders, such as bulimia and anorexia nervosa. It’s important to seek treatment before it becomes a full-blown eating disorder. If you think you have a problem, talk to your doctor to discuss how you can manage your orthorexia symptoms. Surrounding oneself with loved ones. Focus on what makes you happy as a way to stop thinking about food so much. Food cannot, and should not, define who you are; rather, it’s what you give in everyday life and to those around you, and how you live as a citizen of the world that helps define who you are. Eat right, be mindful of what goes in your mouth, but beyond that don’t let it control you. “Orthorexia Nervosa,” National Eating Disorders Association web site; https://www.nationaleatingdisorders.org/orthorexia-nervosa, last accessed April 21, 2016.